Early on this month, I received an email from Faye. 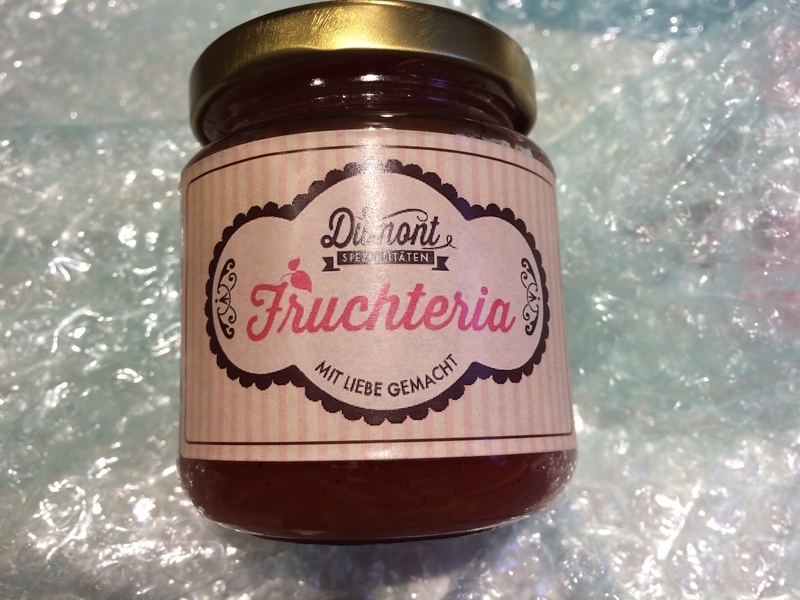 She informed me that she was my Foodie Penpal this month. It was her first assignment since joining the gang, so we exchanged a few notes, and off she went. 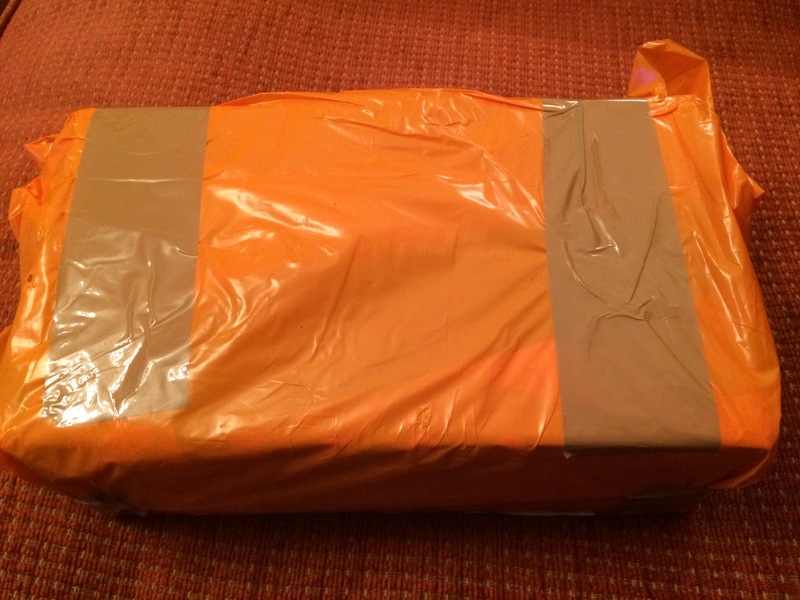 I started thinking about the first parcel I sent out several years ago when I first joined, and I am almost ashamed of what I sent in comparison to what I received from Faye this month. 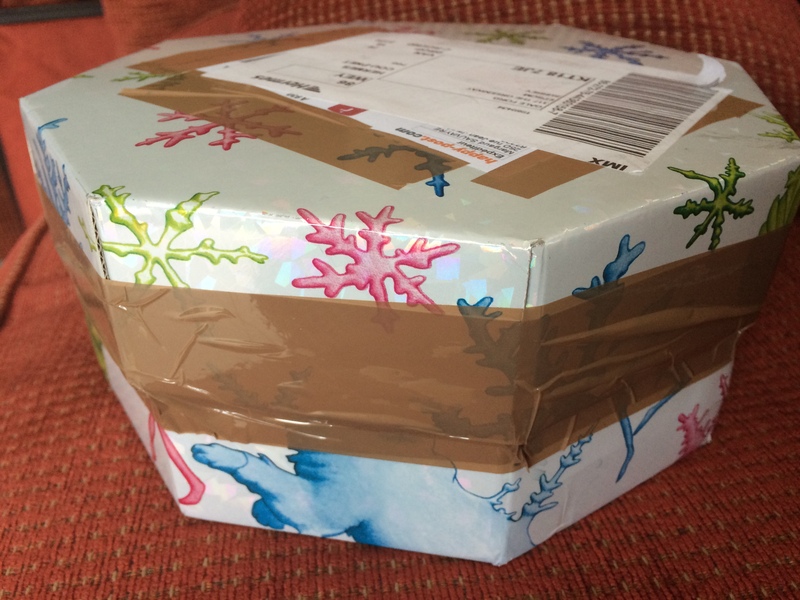 My parcel arrived this week, wrapped safely in a green plastic coat with decorative, dotty sticky tape. I couldn’t wait to get it open! 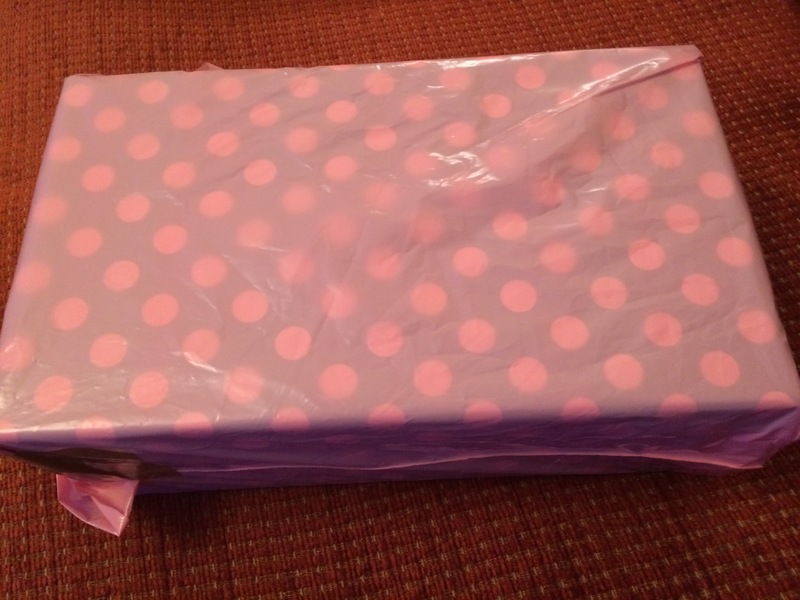 And like a great ‘pass the parcel’ game, I had another layer to get through. This layer revealed a box wrapped in these cool cats that I first thought looked like giant bumble bees. However on closer inspection, I decided they were more like inmates . They were very cute though! 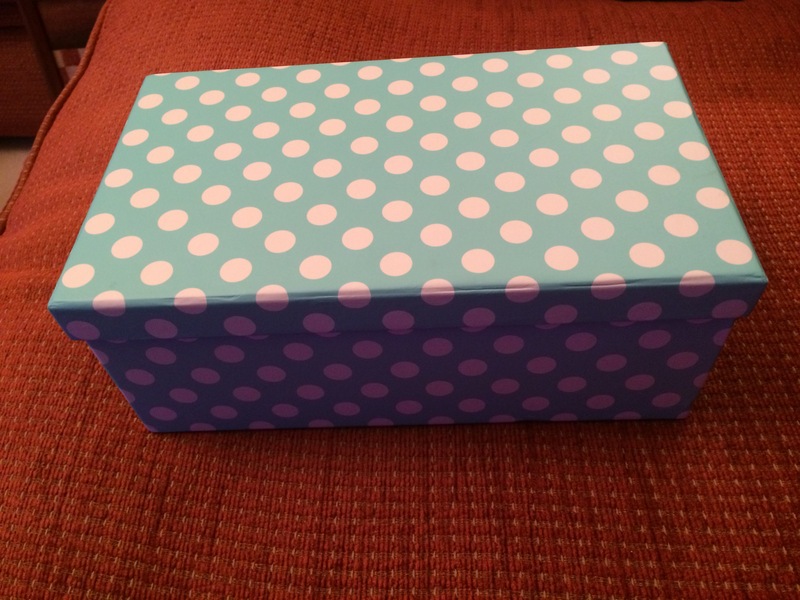 Faye sent me a card to ‘introduce’ the box. She writes to explain a few things, but importantly, she tells me that her son helped in the shopping task, and even gave me a little puzzle to get me to figure out which item her son chose. I have to admit now that I cheated and read the answer before I looked at the rest of the box. I’m so ashamed . . . (not really). 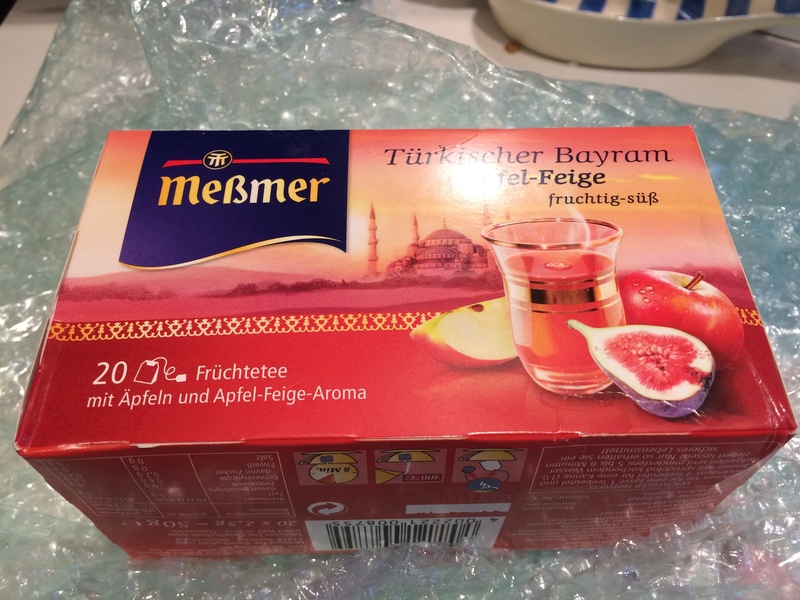 So the first thing I pulled out of the box was a box of chai tea. 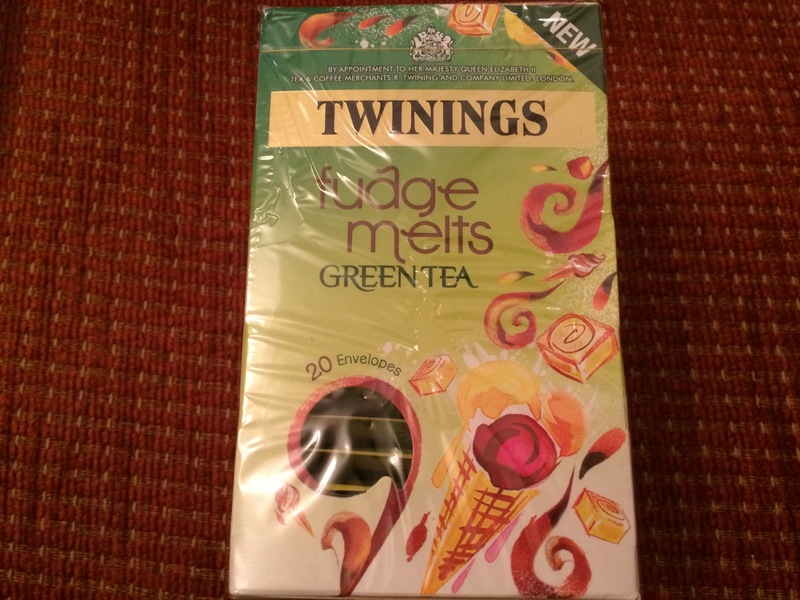 Ironically, I had been introduced to chai tea last weekend, and really, really liked it. So of course I was delighted to get my own stash. 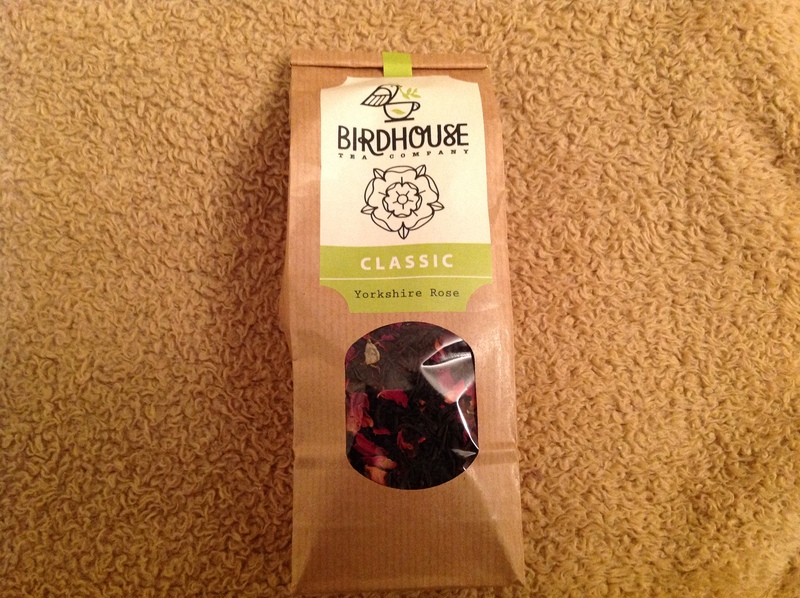 It is a very warming drink, gently spiced, so a really nice change from my usual mug of builder’s tea. And this went perfectly with the next thing I pulled out. 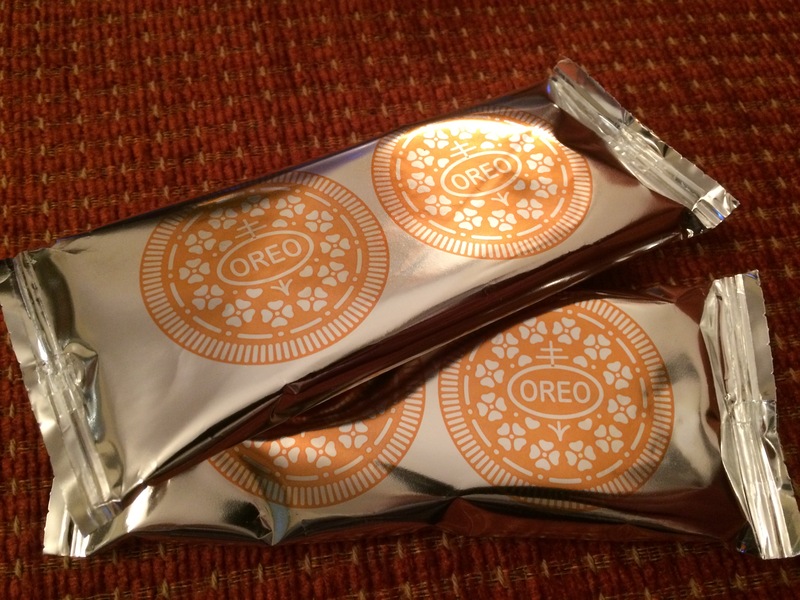 These cookies . . . er . . . biscuits literally melt in your mouth. Such a great pairing with a nice cup of chai. Next came the interesting part. 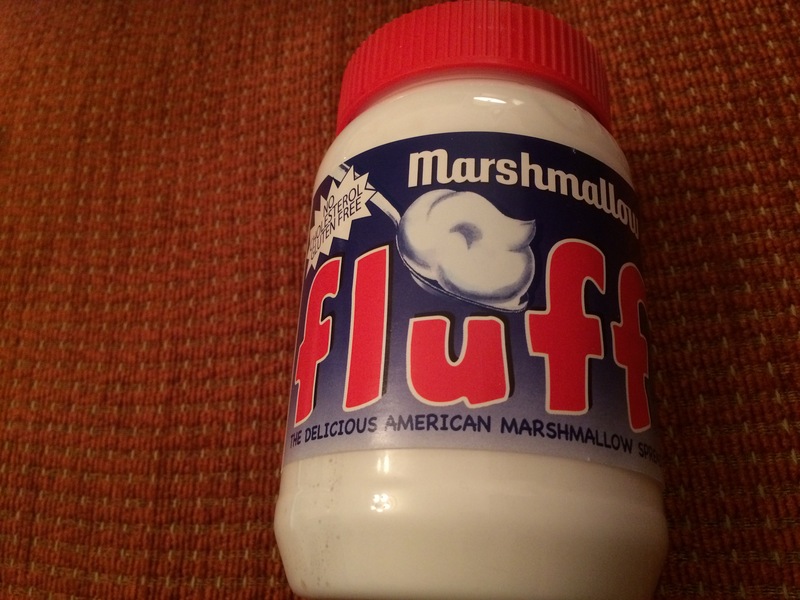 I’ve never seen this, and I can’t wait to try it. In my mind, you can never go wrong with a bit of glitter, be it on your clothes, in your hair, on your nails. So why not in your jelly? Glitter jelly and ice cream has to be a winner. I then pulled out these two cocktail napkins which made me giggle all afternoon. My BFF from was visiting me from Chicago on the day this package arrived, and we especially loved the one about the ‘friends’. Next to come out of the magic box was a smaller box. Pumpkin in ANYTHING is a great, great thing. This looks fantastic. Tucked in behind the pumpkin risotto (do you say ‘riz-oh-to’ or ‘riz-ah-to’???) was this little gem. I like any kind of rub or marinade, so this was a great find. It says it’s for pork ribs, but I think it could also be used on chicken or beef. But pork ribs will do just fine for me, thank you very much. The next thing I pulled out set me up nicely for the next morning. Whoever invented the one-cup of instant oats gets my blessing. No weighing. No measuring. Just add boiling water. 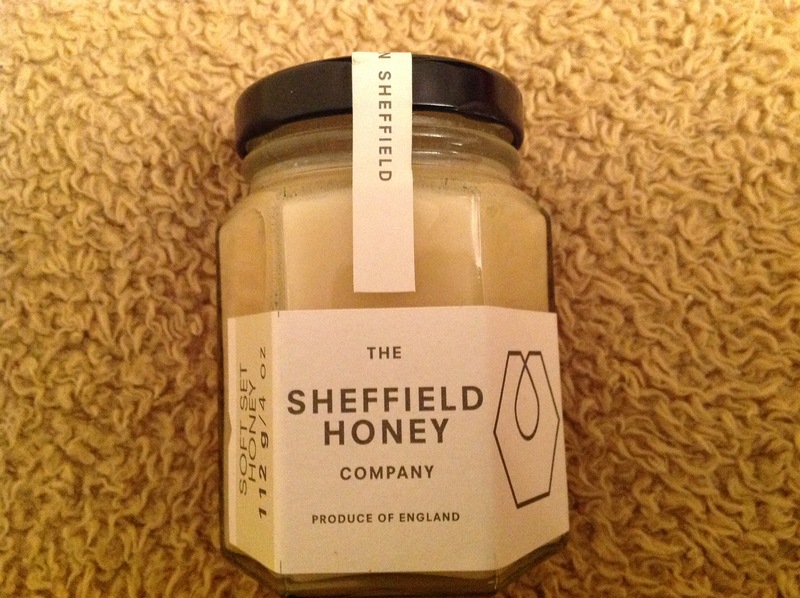 And finally came the item that Faye’s son, Ben, chose for me (or possibly his mother wrenched it from his hands). Anything that allows you to eat this while walking out the door, riding on the train, sitting on a bus, etc, must get the thumbs-up from everyone. So thank you, Ben, for your contribution. 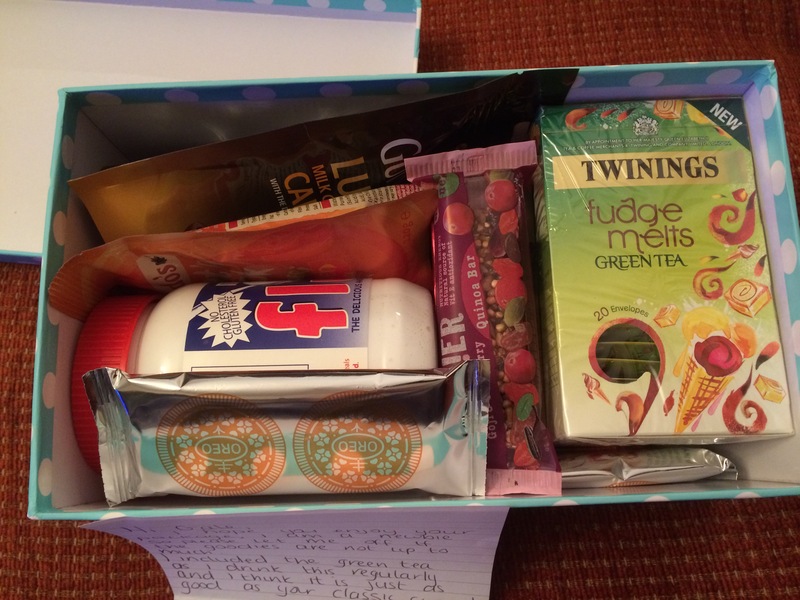 I know you’re going to make someone a very good foodie penpal later on in life! 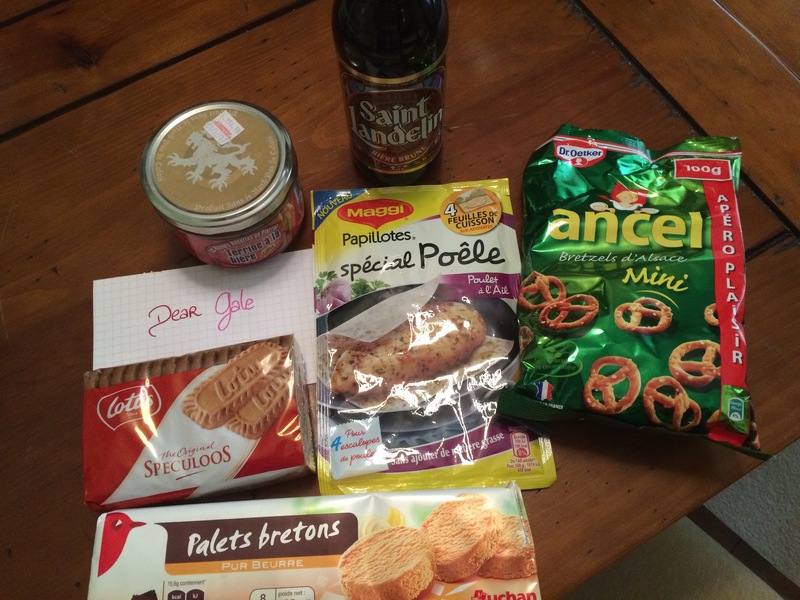 So a fabulous, fantastic and wonderful first attempt at the Foodie Penpal, Faye. Well done, you. I just hope your package was just as special. 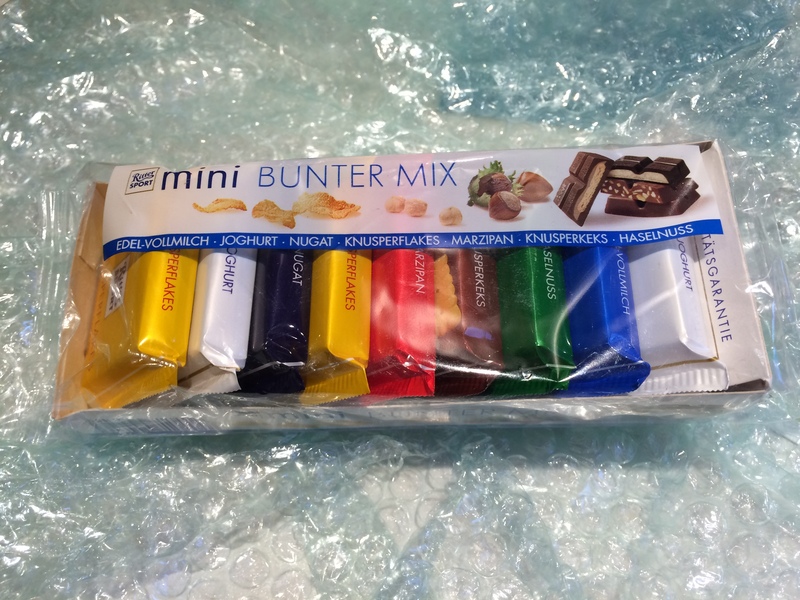 Thank you for a GREAT February parcel. If you are reading this and would like to find out more about the Foodie Penpal set-up, you can find what you want to know here. Another post – another excuse for being late. What haven’t I used yet? Escaped Puma from Chessington Zoo? Ball took a bad bounce? The sun got in my eyes? I’ll come up with something creative . . . maybe . 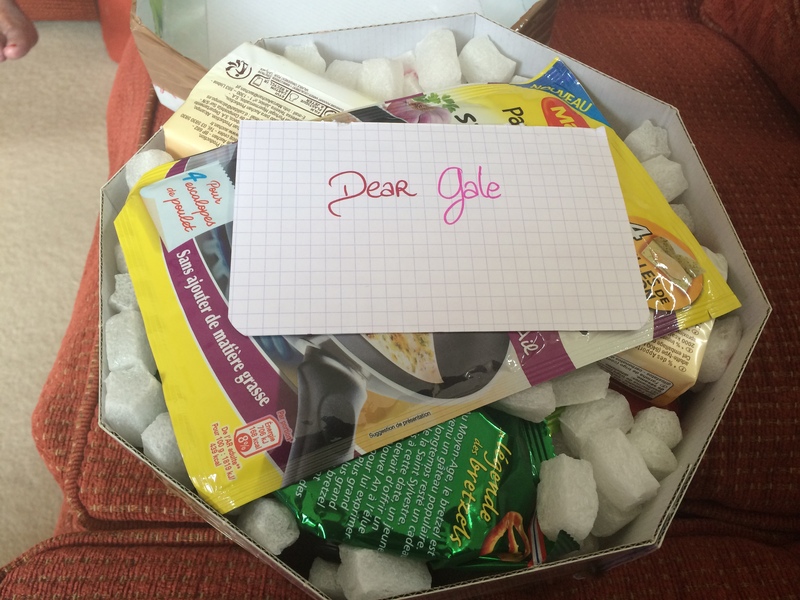 . .
My August penpal, Margaud, sent me the most beautiful box, all the way from France. When it first arrived, I thought someone had sent me a hat. 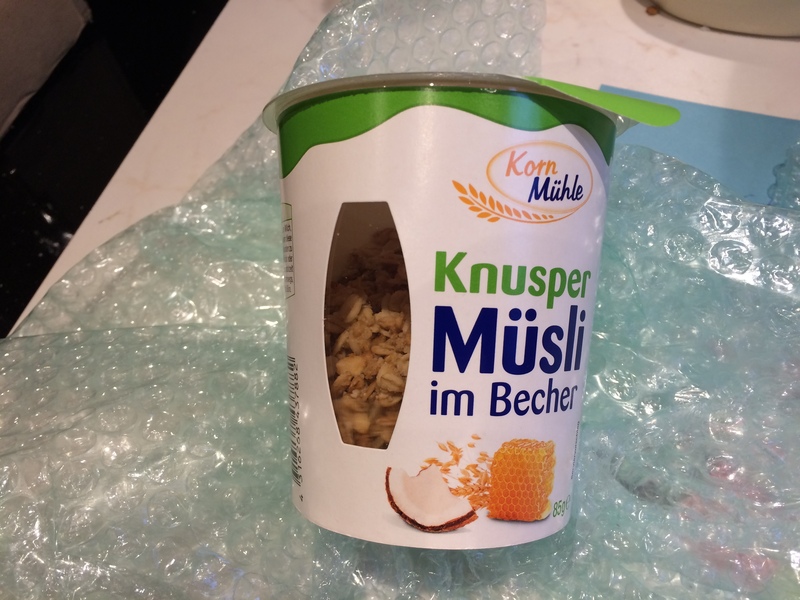 So you can imagine my delight when I managed to break through the tough security measures and find it was my food parcel from Margaud. I was first relieved that I didn’t have to lie to someone and tell them I really liked the hat they sent me (even though I probably wouldn’t have), but then delighted to realise what it actually was. Phew! Not a new hat! And it was full of wonderful, wonderful treats. 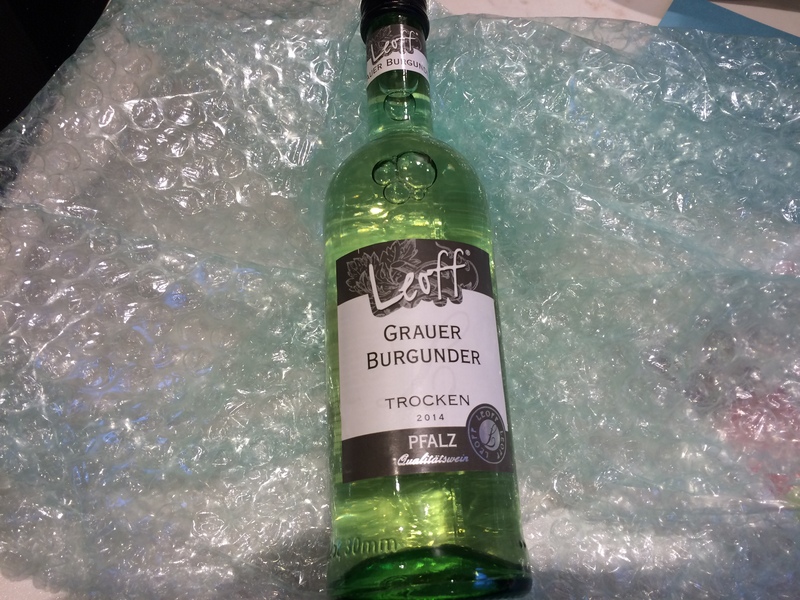 Firstly, I always like a gift that contains a bottle of alcohol. 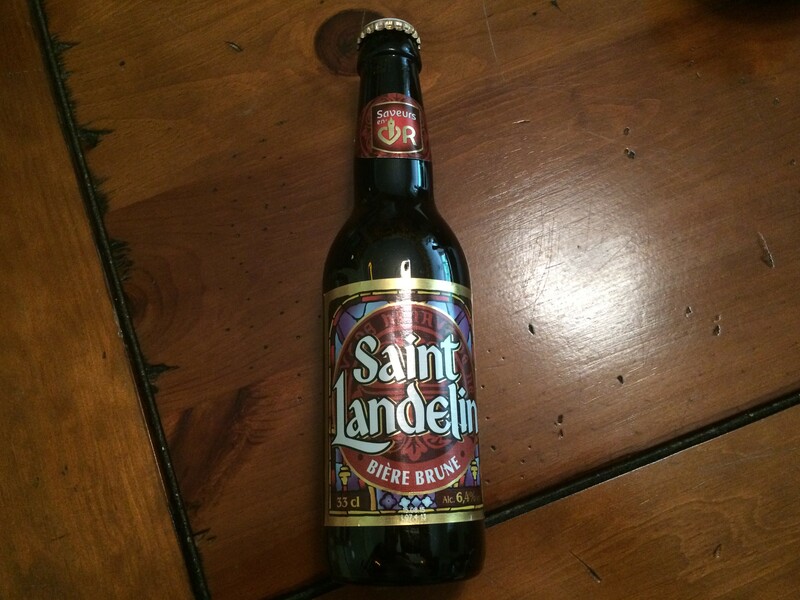 You really can’t go wrong with that, and this month, I got a bottle of dark brown Ale, which I can’t wait to use. 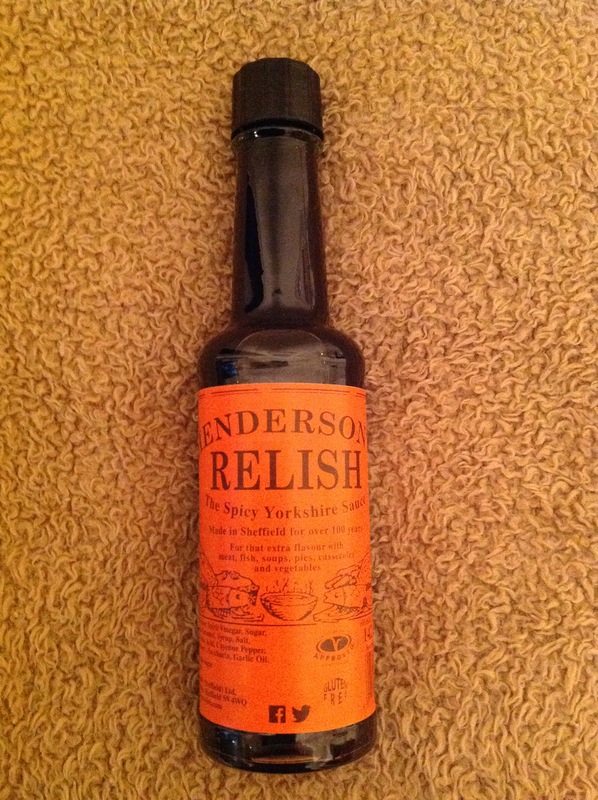 I will probably use it in a recipe rather than drink it, but I’m still uncertain about this. As the weather is starting to cool down a bit, I think a cassoulet might be in order. At this point, I’d also like to point out that most, if not all, of my items are from the area that Marguad or her husband are from, which makes it all the more special. 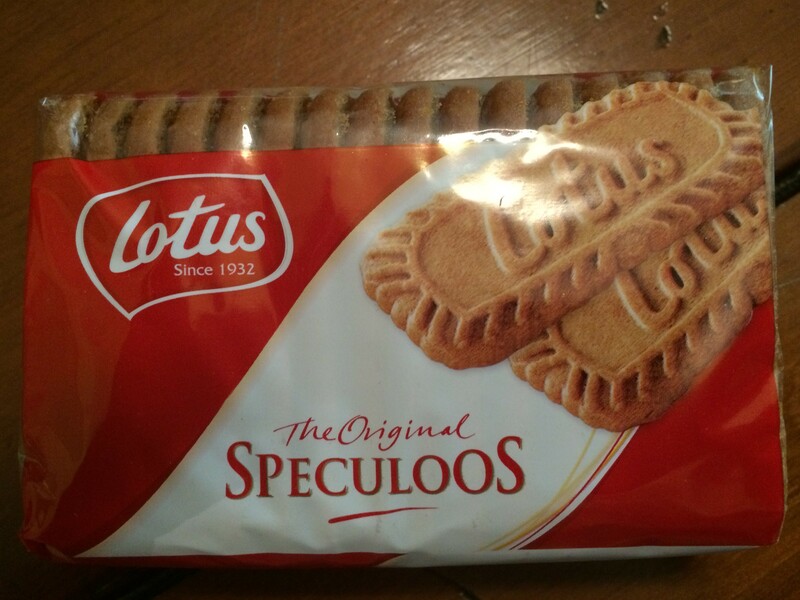 The next thing my eyes went for was the package of Speculoos. I LOVE THESE. You will often find them on the side of your morning coffee in the local café in France. They are a gingerbread cookie that go perfectly with coffee. Or tea. Or milk. Or just on their own Those won’t last long here. 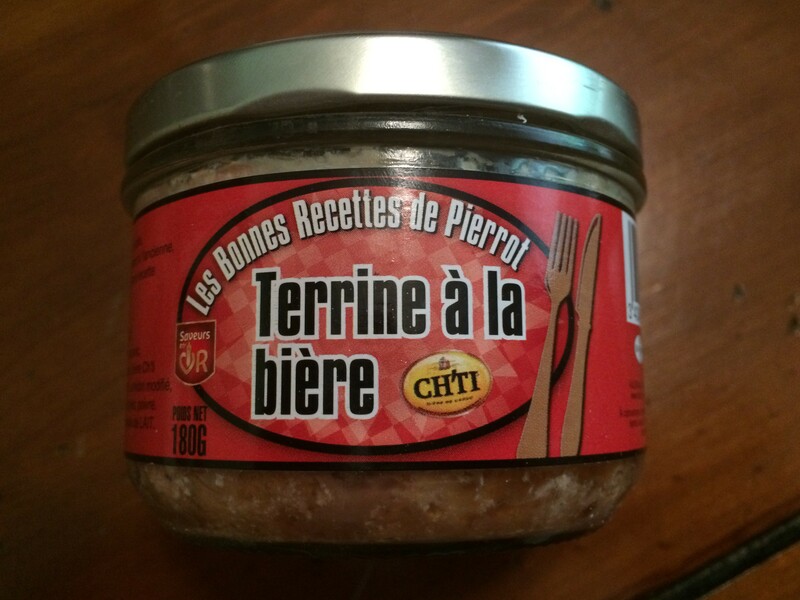 Next I pulled out some pate, also made with beer from the north of France. Pate made with beer – yum! I can’t wait to try this. I will toast some French bread and make a nice lunch out of this. 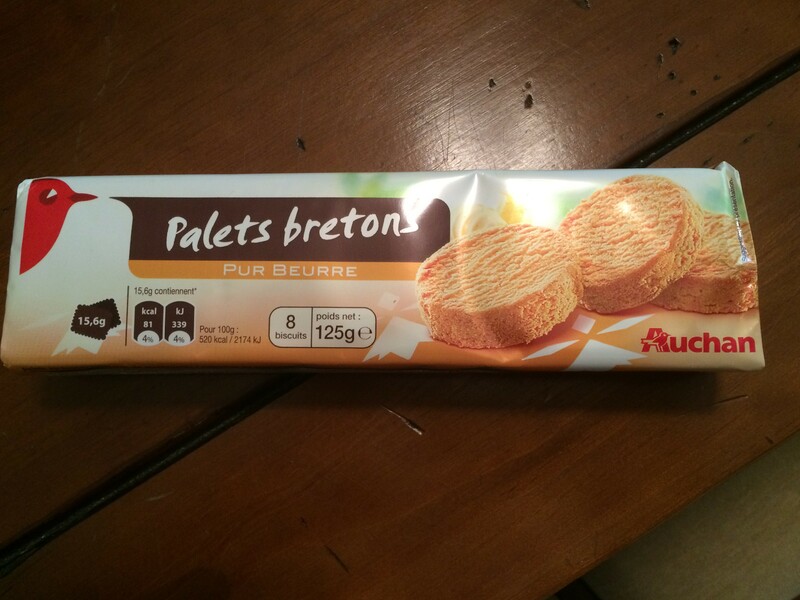 I next saw a package of Palet Bretons, which I have had before. They are wonderfully buttery and delicious. These also won’t last long here! 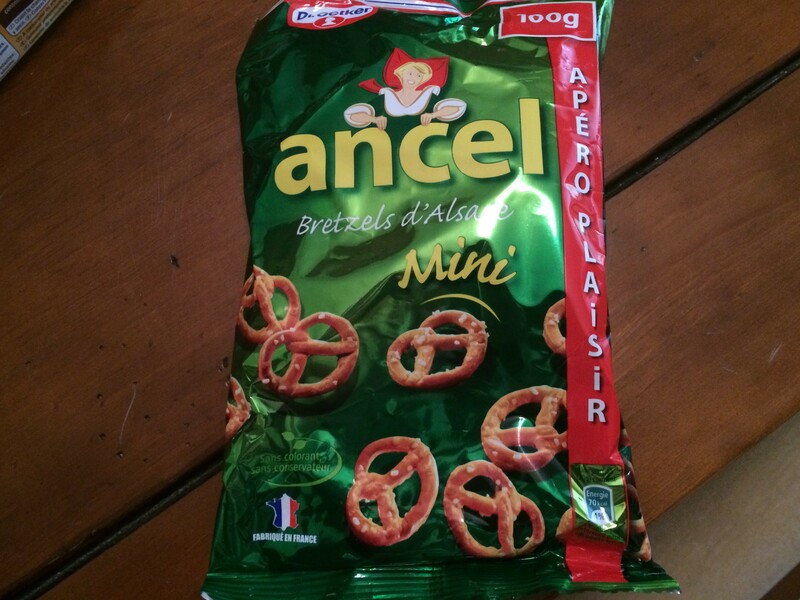 Margaud then sent me a bag of pretzels from her husband’s neck of the woods, and we go through pretzels here like wildfire, so they were really welcome. 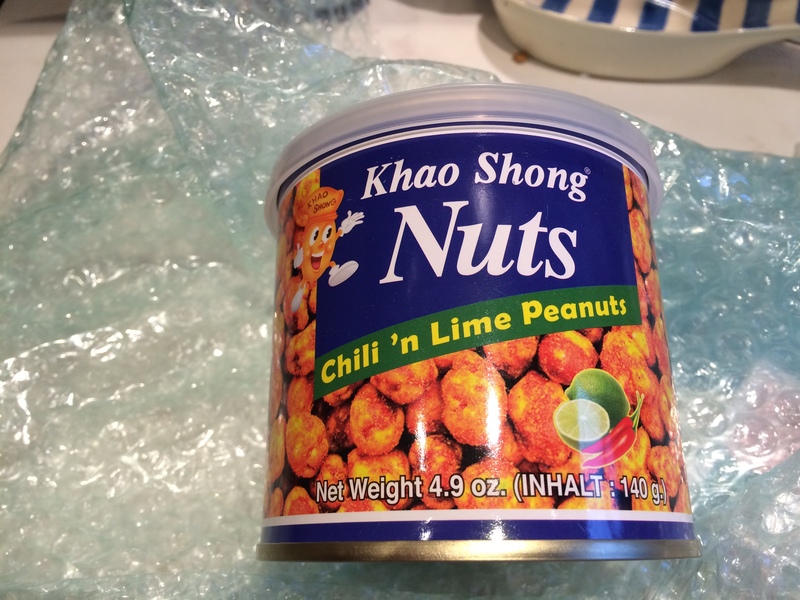 I was going to use them in a recipe that I make every couple of weeks, but I opened the bag – just for quality testing, of course – and decided they were too good, and they needed to be eaten in their purest form. 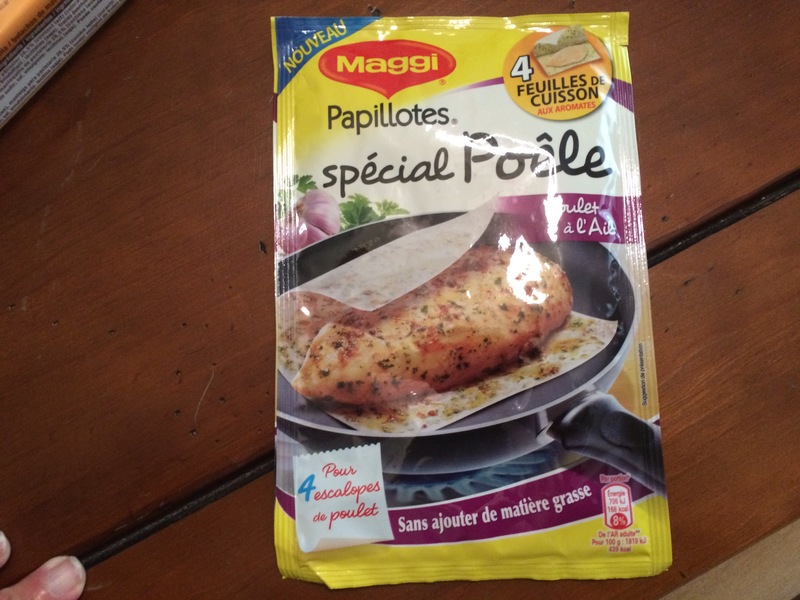 And lastly, she sent me a cooking bag, seasoned with spices and garlic for seasoning and cooking chicken in. (yes – I realise the error of that sentence structure, but it’s what I wanted to say). This will make for a quick and easy dinner sometime very soon. Margaud – you chose so well, and packaged everything up so beautifully. Thank you so much for my parcel. I absolutely loved it. C‘était chouette! 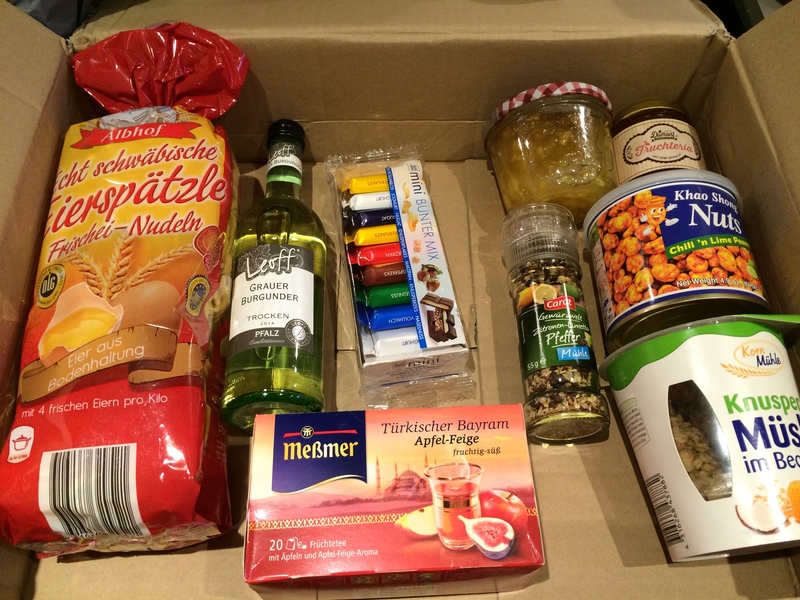 My October Foodie Penpal parcel arrived last week, and it was a bumper month. The lovely Dawn put together the most amazing box for me. It was a bit like Mary Poppins’ carpet bag where she kept pulling things out of the bottom like a floor lamp and a pot of tea! This wasn’t far off. 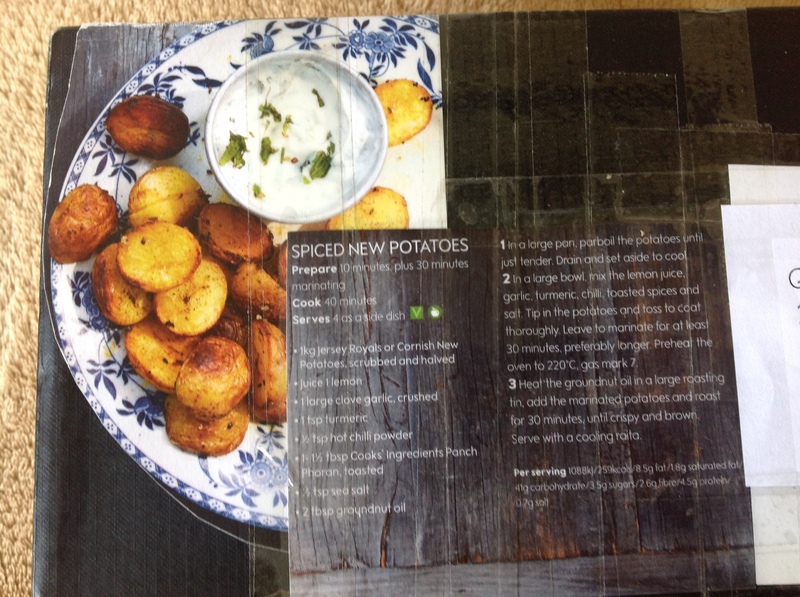 The first thing I noticed was taped to the shoe box it was sent in, was a recipe and picture of Spiced New Potatoes. It was like gift-wrapping that keeps on giving. Dawn is trying to shirk responsibility and claims she re-used the box (and idea) from her previous sender, but I’m giving the credit to Dawn for recycling it. After reading through this recipe and deciding to make this dish that night, I opened up the box, and started pulling out item after item after item. It was borderline embarrassing, but I loved it! 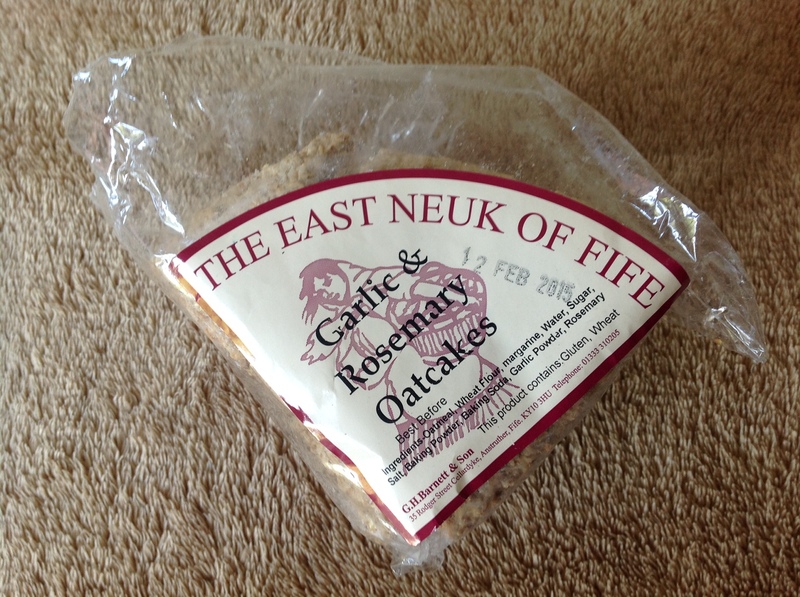 First came some garlic and rosemary oatcakes. 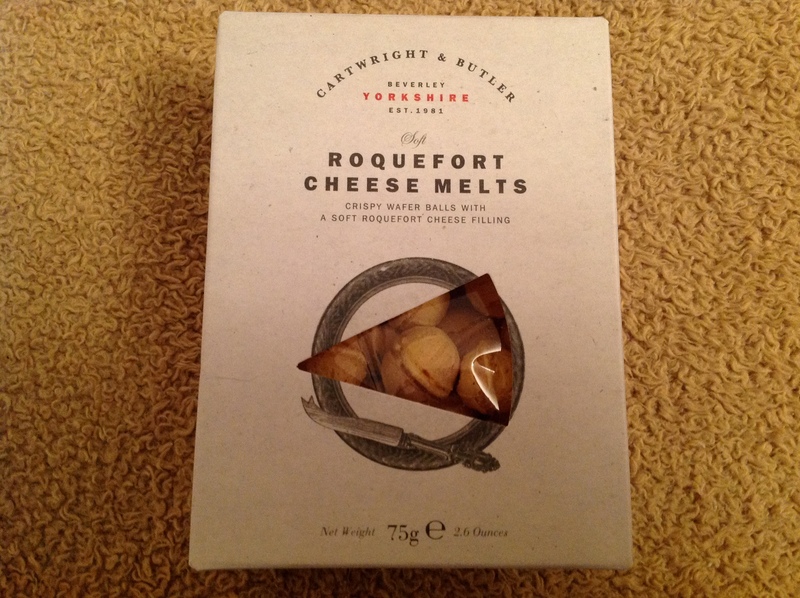 These are very delicately flavoured and are absolutely delicious with some really sharp cheddar cheese and a bit of red wine. 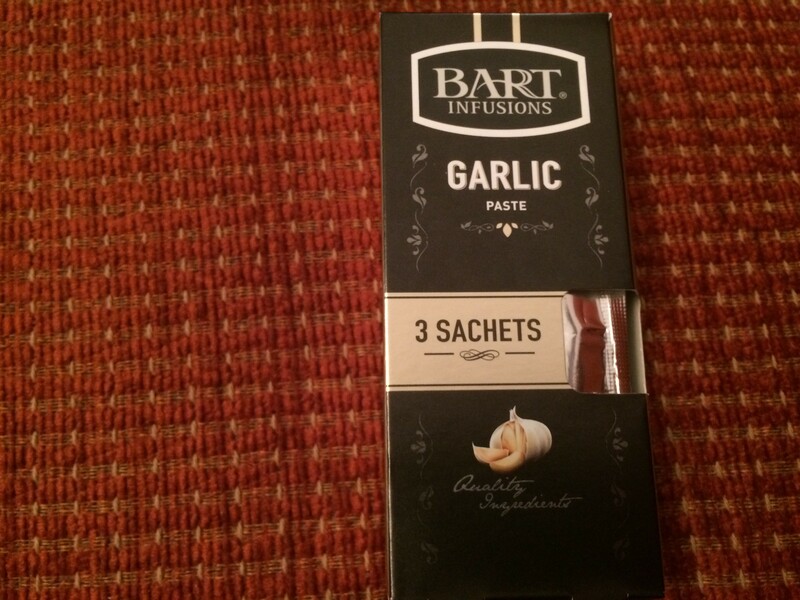 The garlic is not over-powering, and it’s a really delicious way to start off an evening. 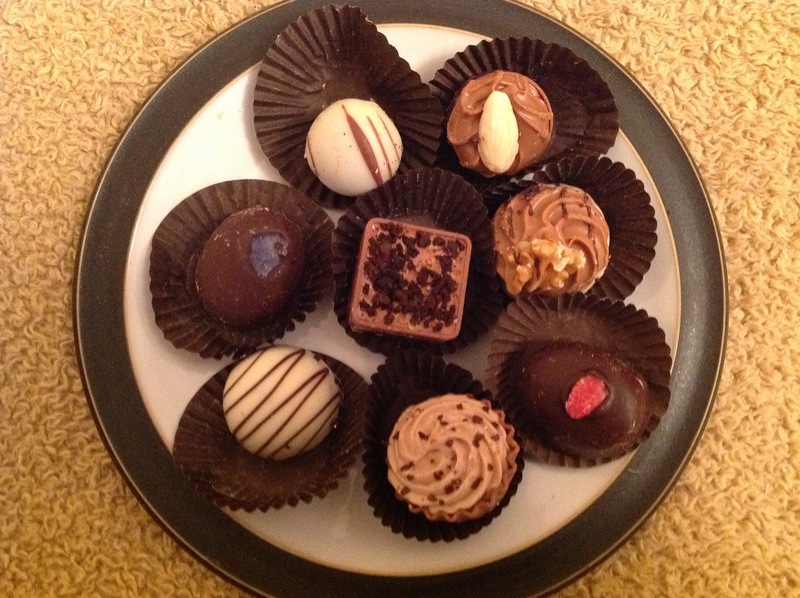 Next came out some rice cakes, which I do like munching on, but these were covered in dark chocolate. 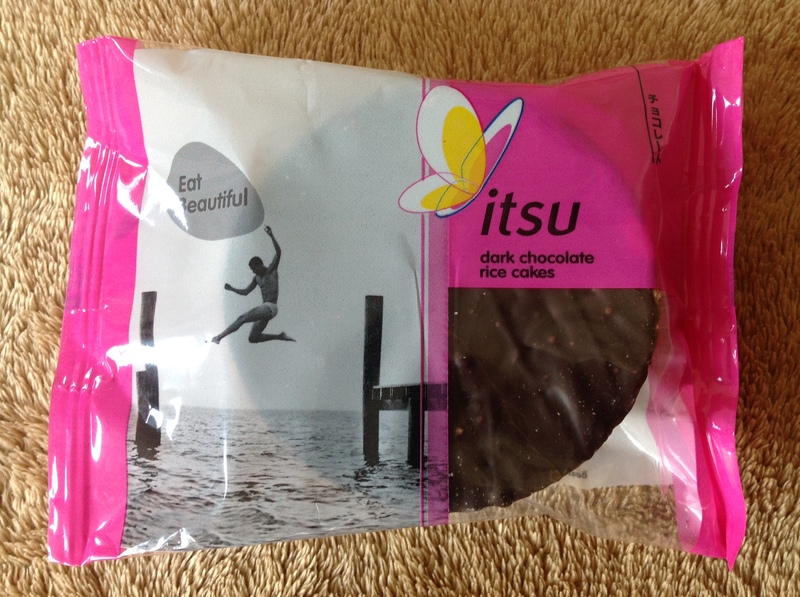 It was a real decadent feeling of mixing chocolate with rice cakes. And fairly guilt-free, which is always nice. 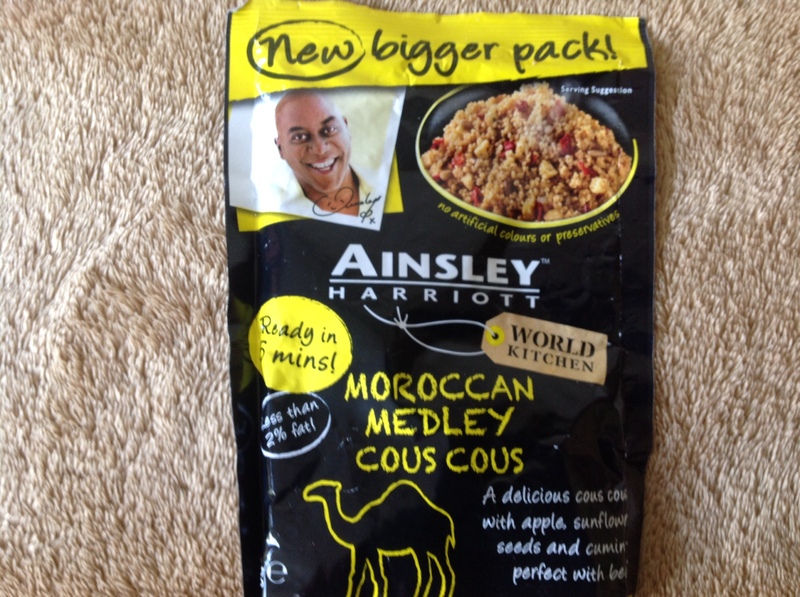 My next item was a lovely picture of Ainsley Harriott on one of his cous cous packages. 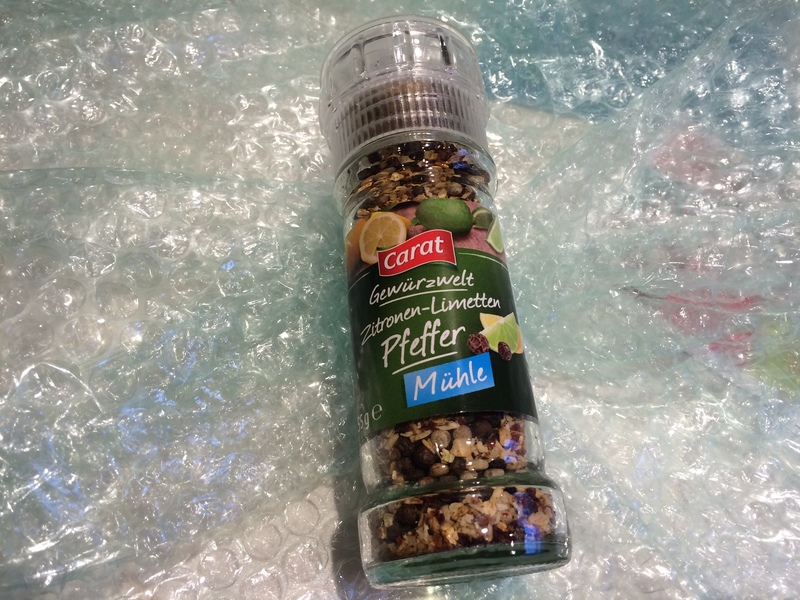 I love this particular flavour of cous cous, and I almost always have a spare one of these to hand for ’emergencies’, but my cupboard was bare, so I was so happy to get another packet of cous cous, and especially this particular flavour. 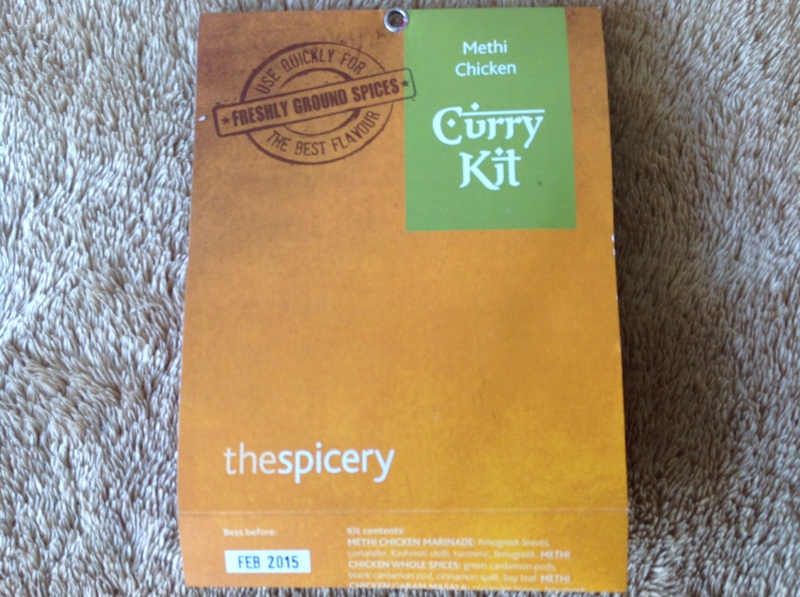 Moving on into the box, I found this curry kit for making methi chicken, which I’ve seen on the menu every time I go out for a curry, but never tired. Well now I’ve tried it, and it was NOTHING like I thought was going to be. So this little kit was mind-opening, and so easy to use. And of course if you’re going to make an Indian meal, you need to have the proper ‘afters’. For some, that’s a little plate of After Eight mints. 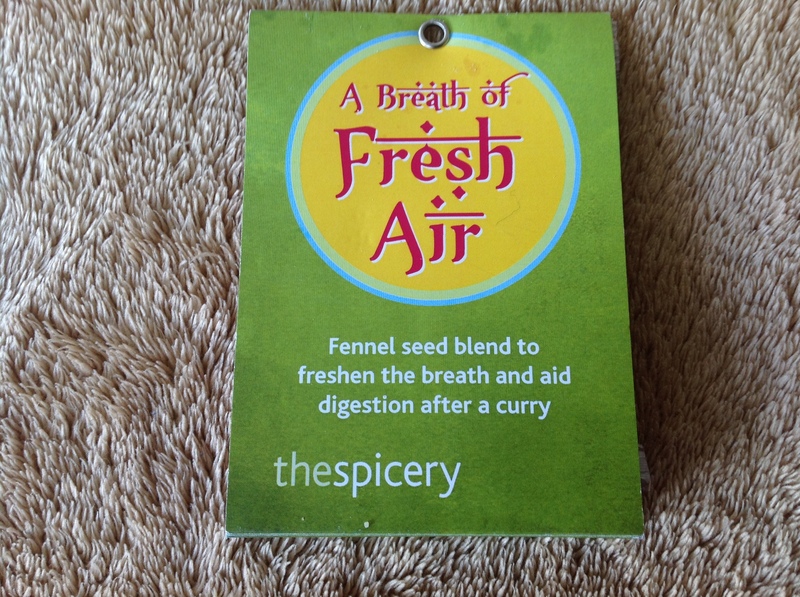 For fresh breath . . . But many Indian restaurants offer you a small plate or bowl of these little seeds, which is surprisingly refreshing. 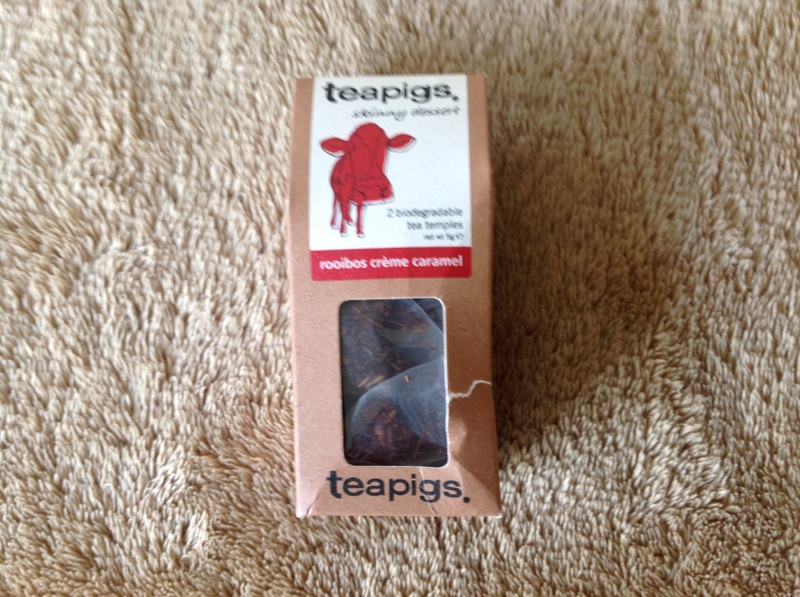 I’m no stranger to teapigs, but I’ve never tried this flavour, which is creme caramel. Well this was just dessert in a teacup, let me tell you. This was delightfully authentic, and I really enjoyed it so much more than I thought I would. It went perfectly with my next item. 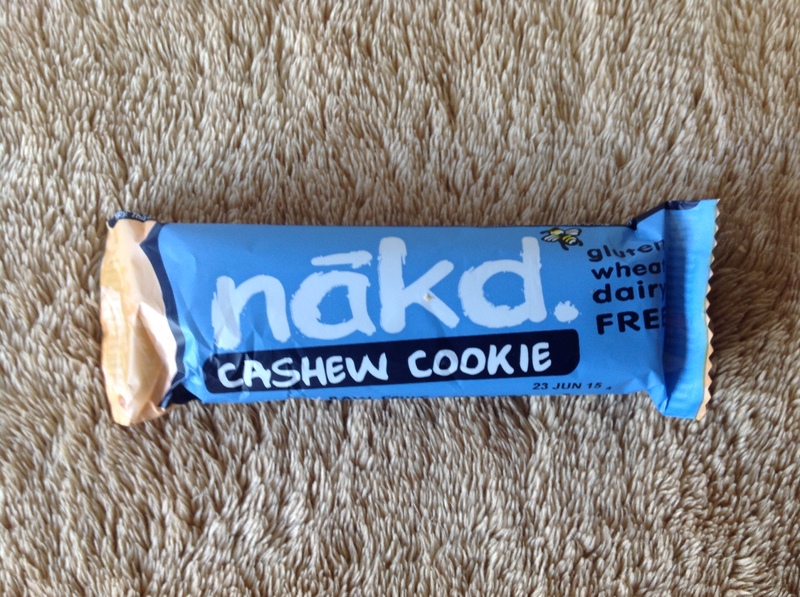 I know I’ve sent other people this ‘nakd’ brand of snacks before, but I’ve never tried one myself. So I was delighted to finally get one that I didn’t buy myself! This was really good. Cashew’s got to be one of the best nut flavours anyway, and this, married with a cup of creme caramel tea was really gorgeous. I really feel the next item needs no explanation at all. Green & Black’s. Dark chocolate. End of. 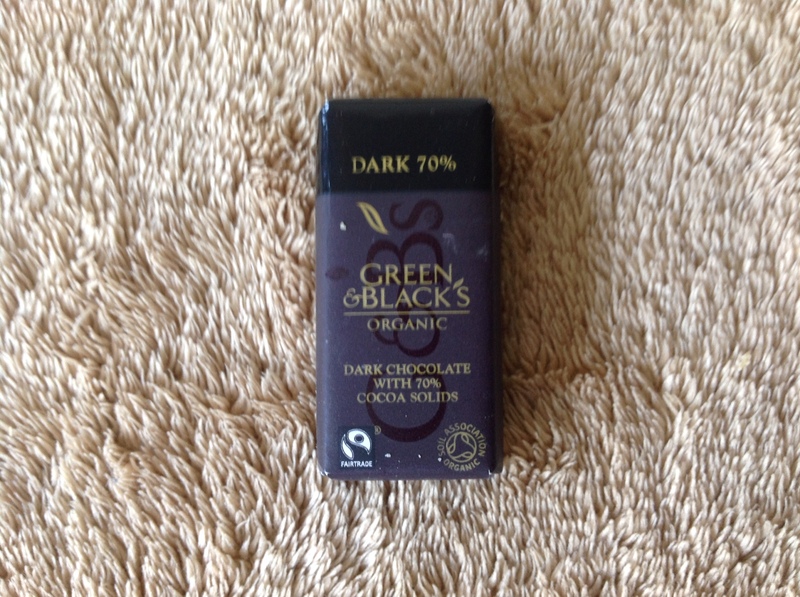 In all seriousness, though (and I never kid about dark chocolate), this is truly life’s best dark chocolate. 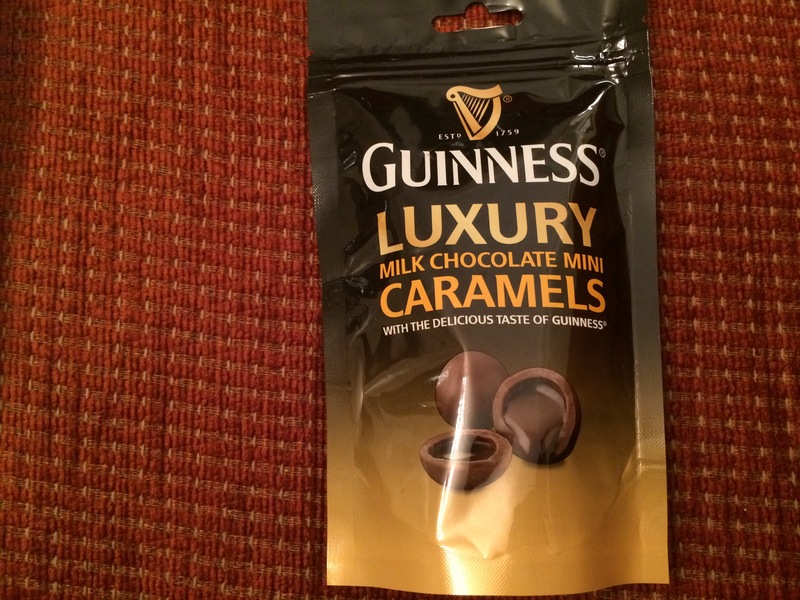 This is what I would bring to Willy Wonka’s Wonkavision machine in so I could reproduce this in massive bars. 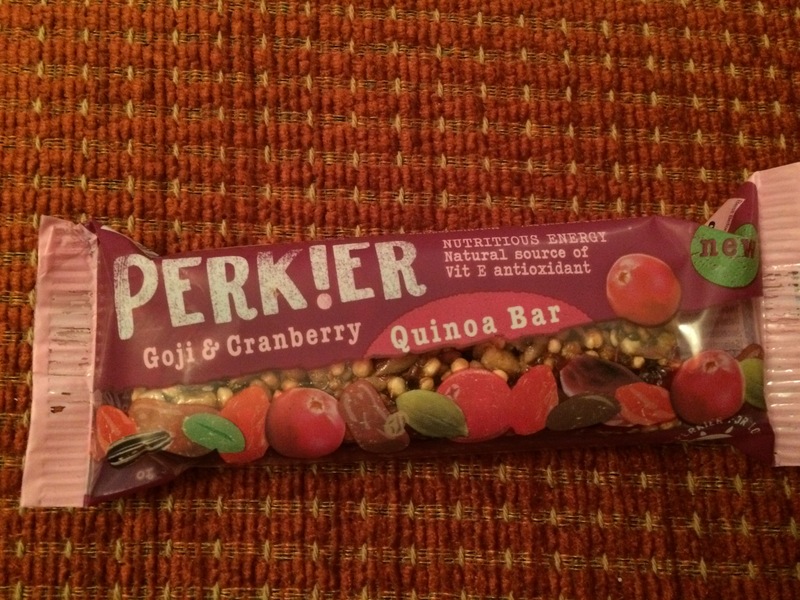 I was grateful to get this bite-size bar though. I am constantly making stews and casseroles, and truly the three herbs I use the most are rosemary (mostly on my potatoes), sage (mostly on pork), and thyme (mostly on . . well . . everything). No parsley, but definitely the sage, rosemary and thyme! 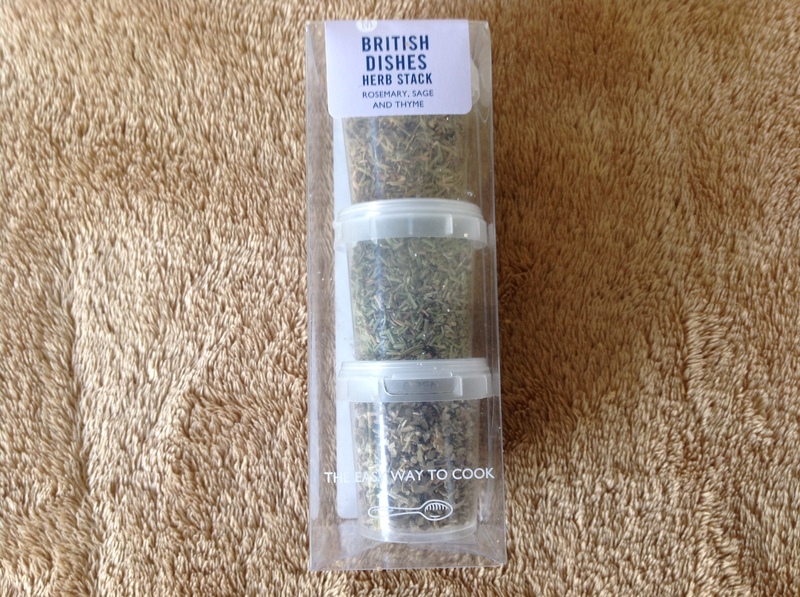 So getting this little stack of my three best herbs was brilliant. 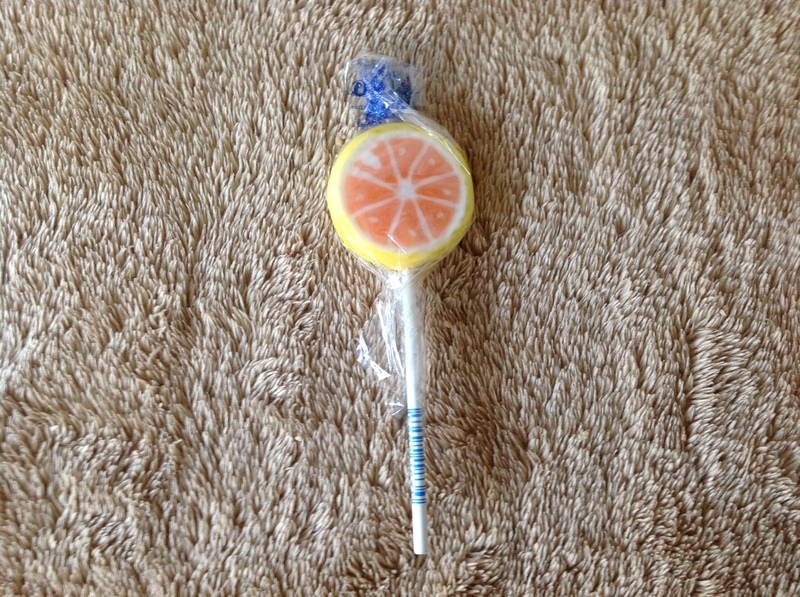 My penultimate treat was this citrus lollipop. Actually, this barely made it down for the photoshoot. About 5 seconds after snapping this picture, this was being unwrapped. It has been years and years since I’ve had a lollipop, so it was such a nice treat. I don’t know where this one came from, but it was gooooooooooooood . 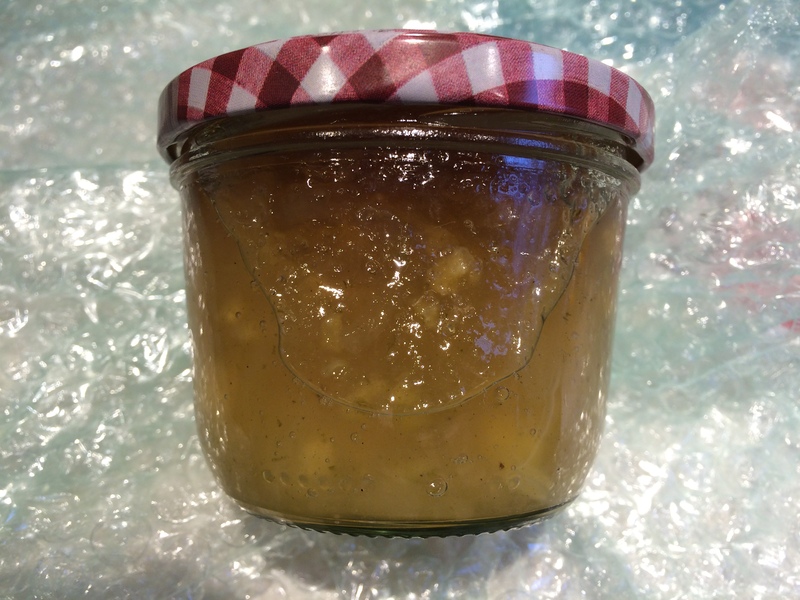 . .
And finally, my favourite part of the box was this jar of homemade apple butter. I love when I’m sent something homemade. It’s such a snapshot of the person behind the box. This was delicious, and after a couple of email exchanges, Dawn shared the recipe with me. When I’m brave enough, I’ll give it a go. So I’m sure you’ll agree that this was a magical box, full of lovely gifts of all shapes, sizes and influences. Dawn, you did such a great job with all your selections. Thank you so much. 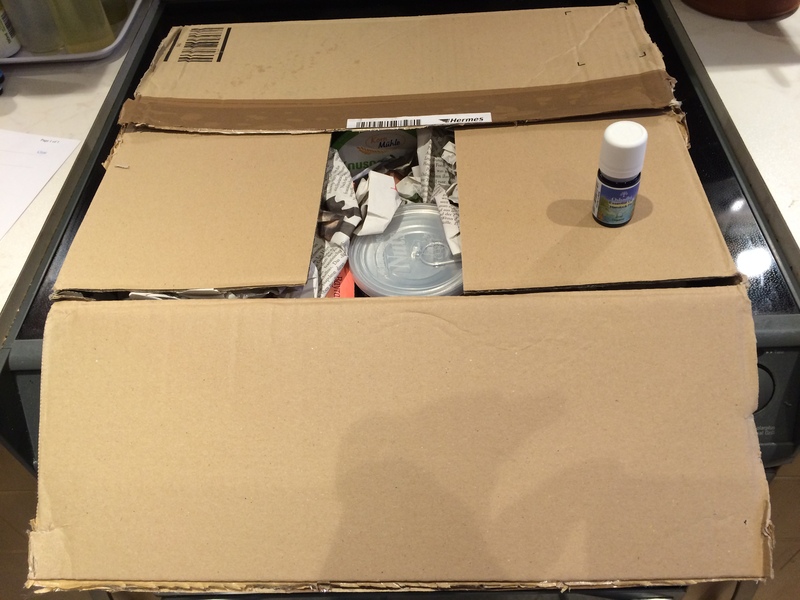 If you are inspired by this parcel or even think you could do better (unlikely! 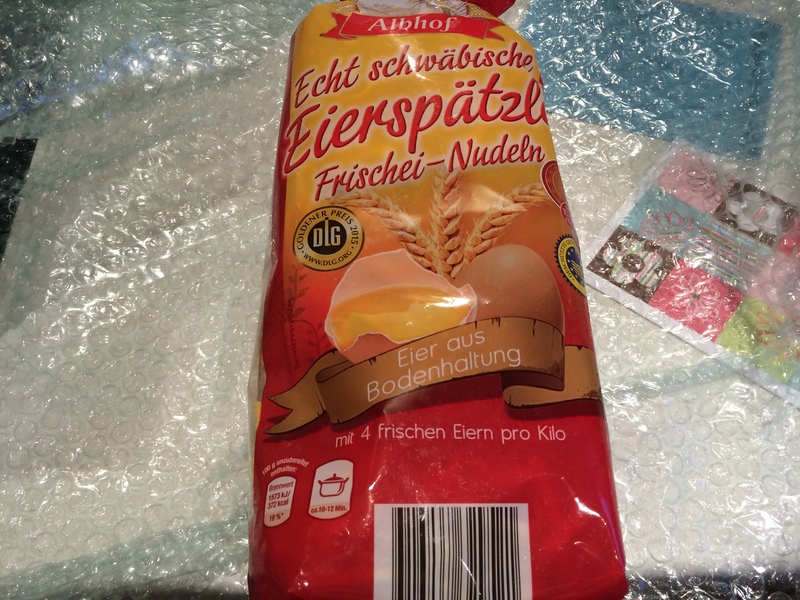 ), please visit http://thisisrocksalt.com/foodie-penpals/ if you living in Europe, or http://www.theleangreenbean.com/foodie-penpals/ if you are in the USA. 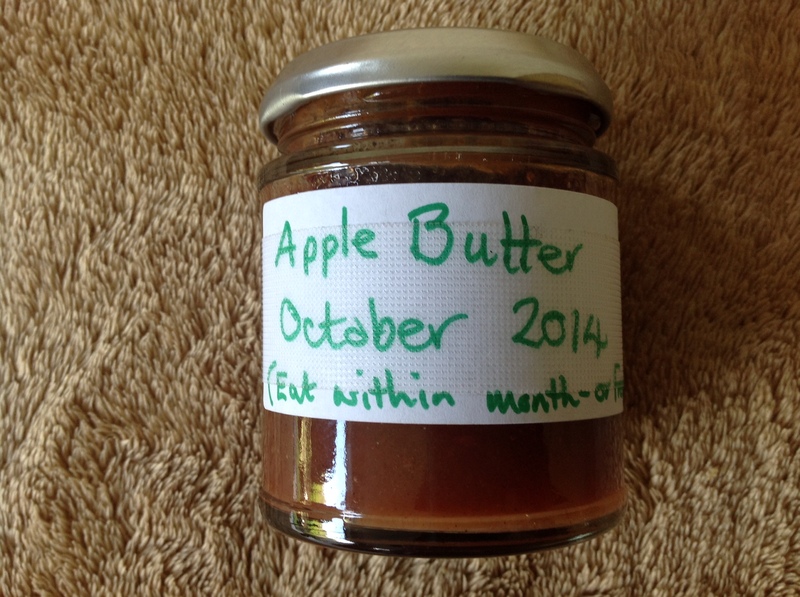 As my September foodie penpal, Zoe, pointed out – it’s hard to believe it’s the end of September already. But the leaves are golden and deep red now, the air is much more crisp, and all of my husband’s cricket gear is put away. That’s always a sure sign that summer is over. Well that, and the fact that we’ve had the heat on for a couple of weeks. Sigh . . . This bottle of smoked paprika came at a perfect time. I’ve been trying a lot of recipes that call for smoked paprika over the last year, and my supply was running low. I had it on my shopping list, but I’m pleased I can take it off now. 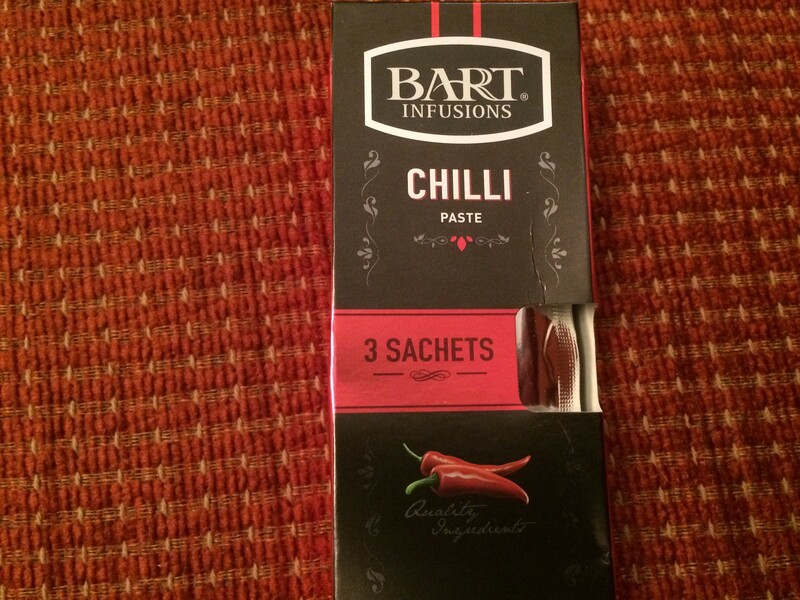 Smoked paprika really gives a really rich flavour to so many dishes. I pretty much add a dash to almost everything I make now from eggs to casseroles. I love these little kits. 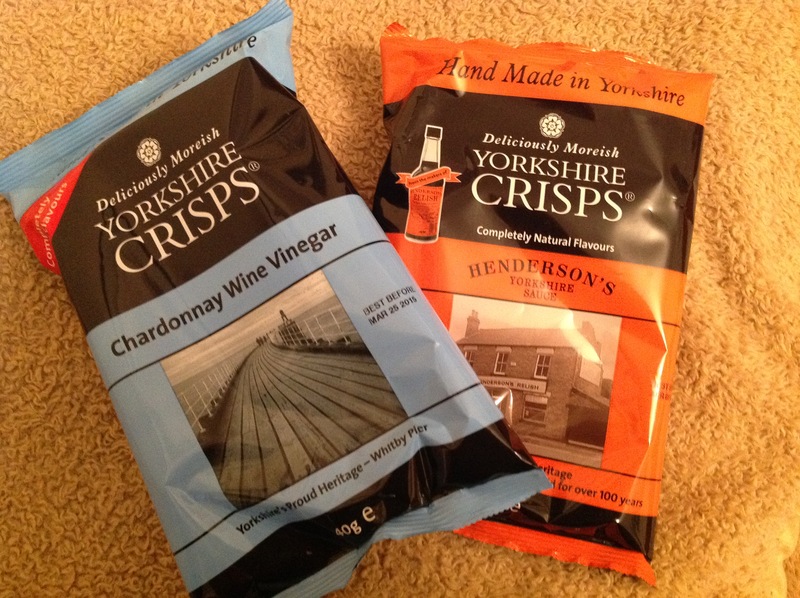 But oddly enough, although I see them in the shops, I never get them for myself. 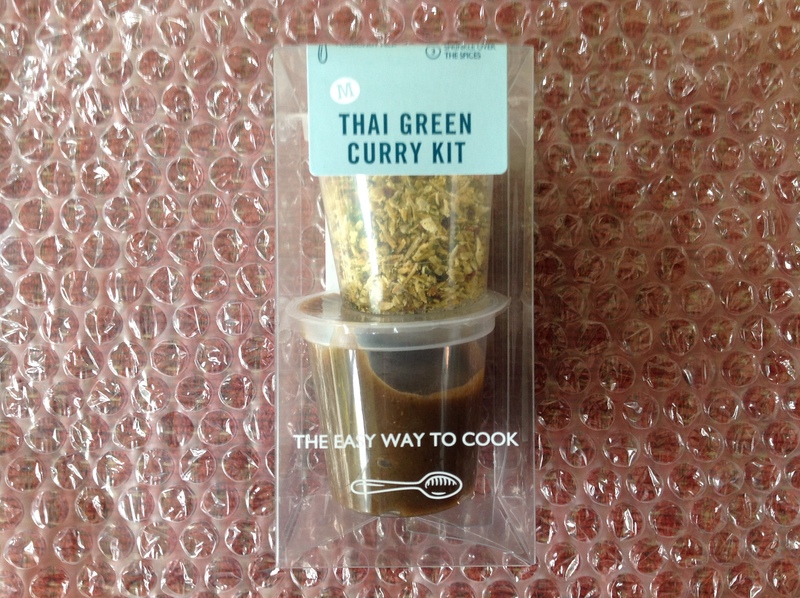 This is a Thai green curry kit. I love going out for Thai food, but have seldom made it, so to have one so neatly delivered to my door is truly a sign. I can’t wait to try it. 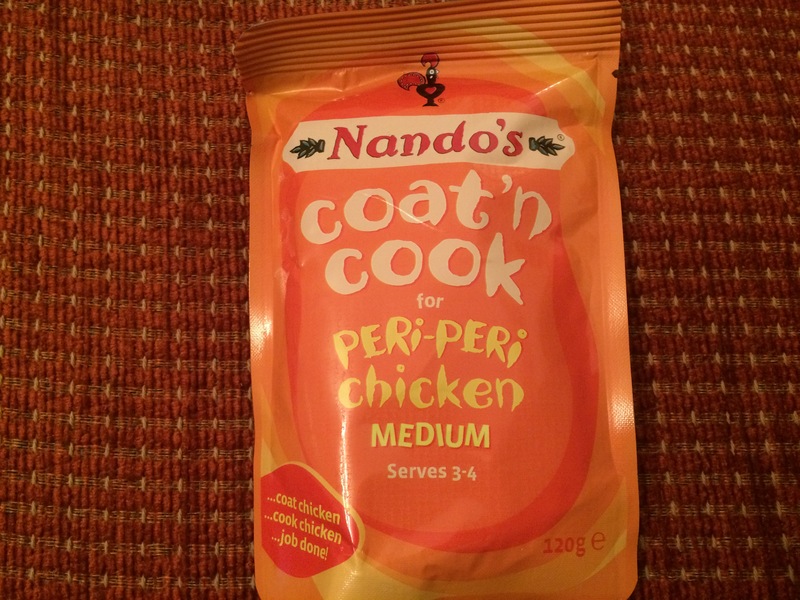 Whoever invented a way to cook things in a bag should get a knighthood, or maybe something even higher (is there such a thing?). I think they’re brilliant. 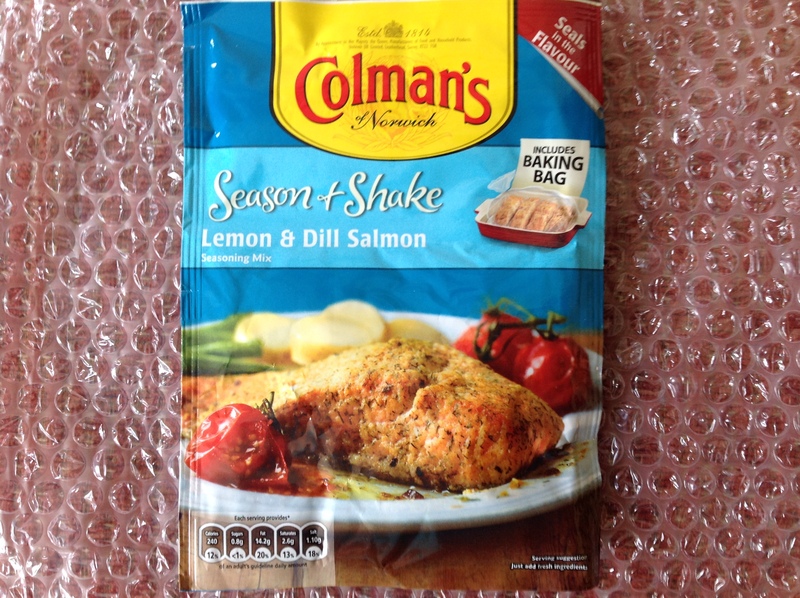 Zoe sent me a lemon and dill packet for seasoning salmon cooked in a bag. What could be easier than this? And you don’t have to worry about basting or ensuring your food doesn’t dry out. The bag does all the work without any effort on your part. I’m all for that. 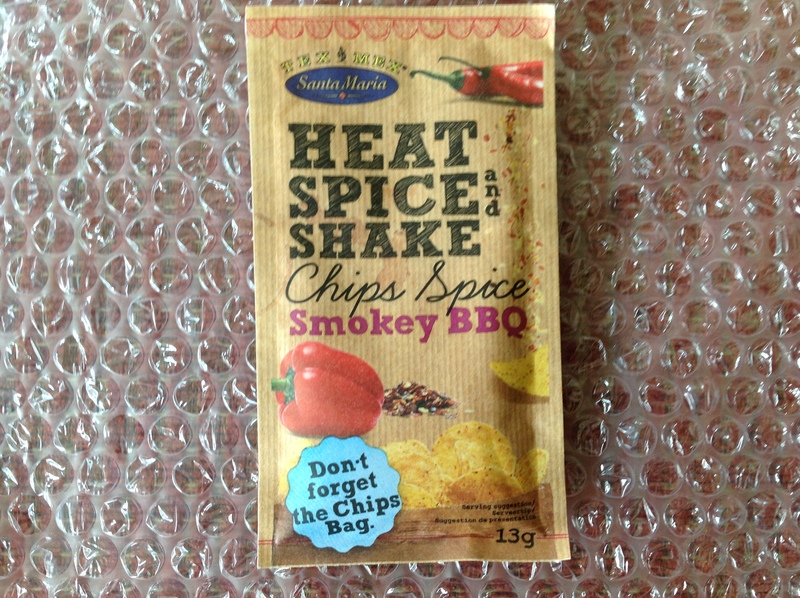 I also got this chips spice. I made oven-baked chips all the time, and I think I am most excited about this. I’ve never seen it, and I usually just try to hash something together with whatever spices I have to hand. My oven’s already heating up. I’m not sure this packet is going to see tomorrow, because I think there are some chips with my name (and this Smokey BBQ spice) on them. I’m thinking lunchtime . 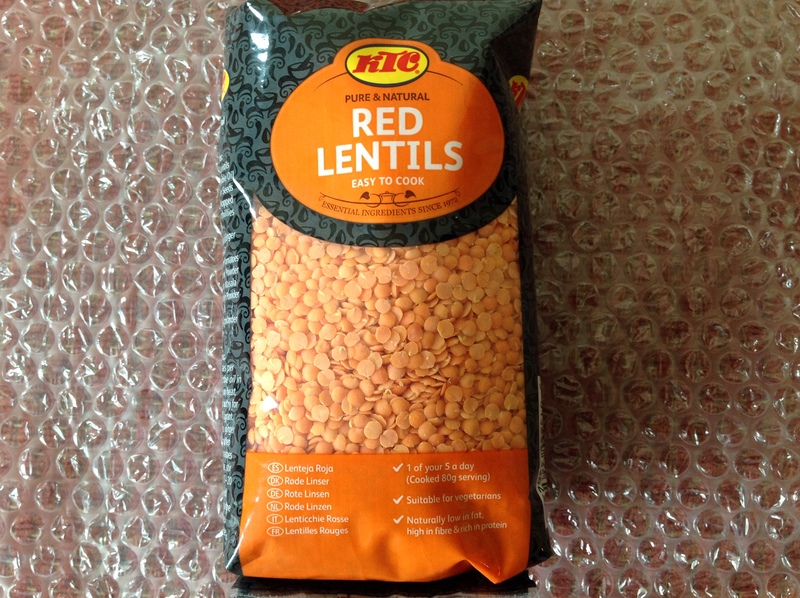 . .
And finally, Zoe sent me red lentils. I love lentils – red ones in particular. My in-laws were raised in India, and when I first moved to the UK, I learned quickly how to make tarka dhal. But Zoe sent me a recipe for a spiced lentil soup, which I can’t wait to try. 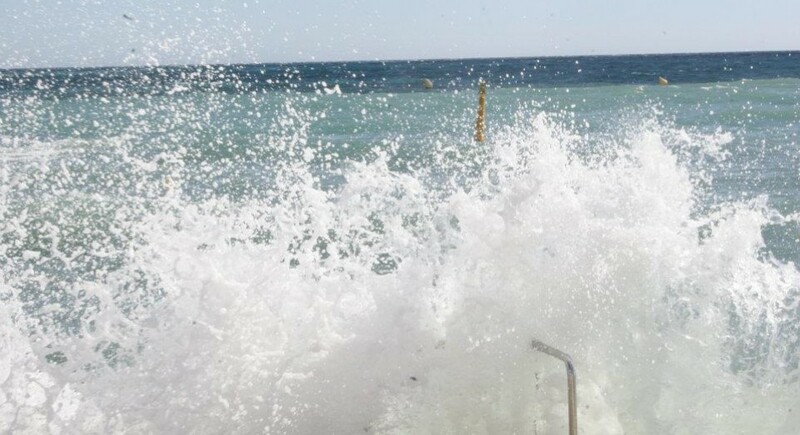 One of the best things to help get you through winter. This is definitely the start of soup season, and I think I’ll kick it off with Zoe’s soup recipe. 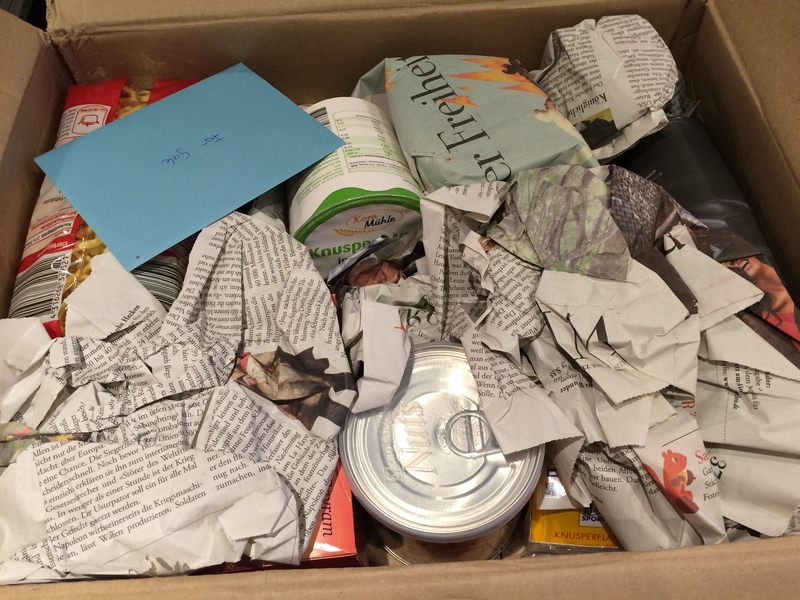 Thank you, Zoe, for putting together such a thoughtful package. I love everything you sent, and I hope you were as fortunate as I was. If any of you are interested in joining this fantastic group, please visit Carol Anne on http://thisisrocksalt.com/foodie-penpals. It’s way more fun than ironing. . . .